Stu and Lydia did a trial making some goat butter for the first time last week, using cream derived from Jonathan (our goat milk man’s) bottling process. It made a beautiful, snow-white butter – you can add annatto to make it appear yellow, but we didn’t and don’t plan to – we prefer the ‘nothing added, nothing taken away’ way of life. 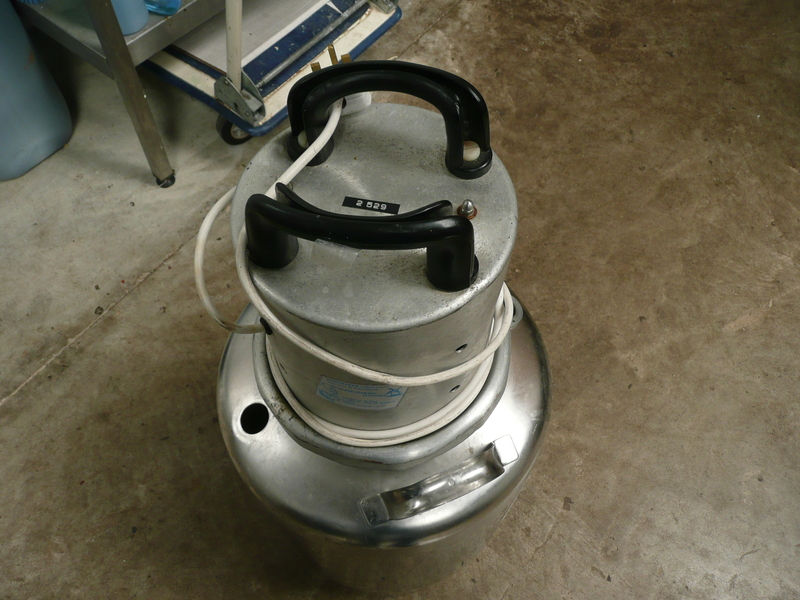 small semi-industrial butter churn that came from Holland, (though I bought it on ebay.) 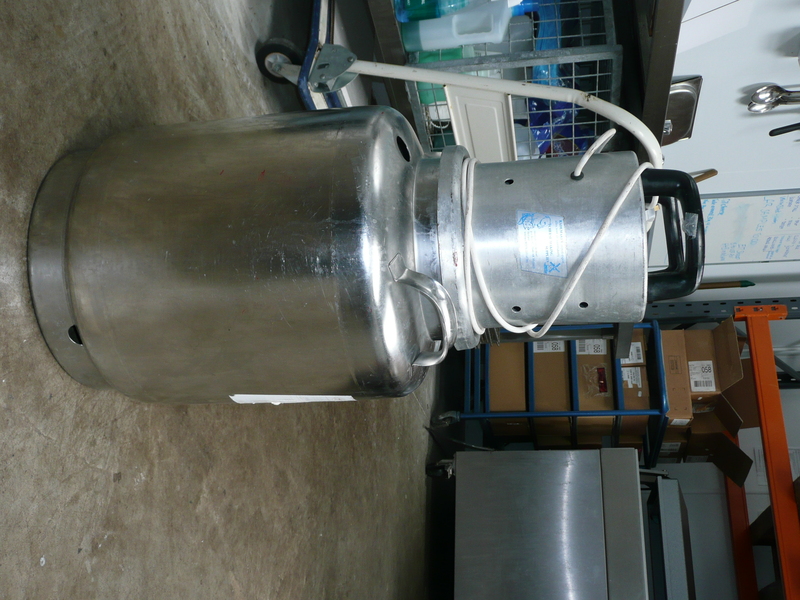 It has a capacity of 27 litres but should only be filled 2/3rds. We churned it for about 10 minutes, kneaded it cold fresh running water, added a small amount of cheese making salt (this does not have added iodine) and put it into pots. 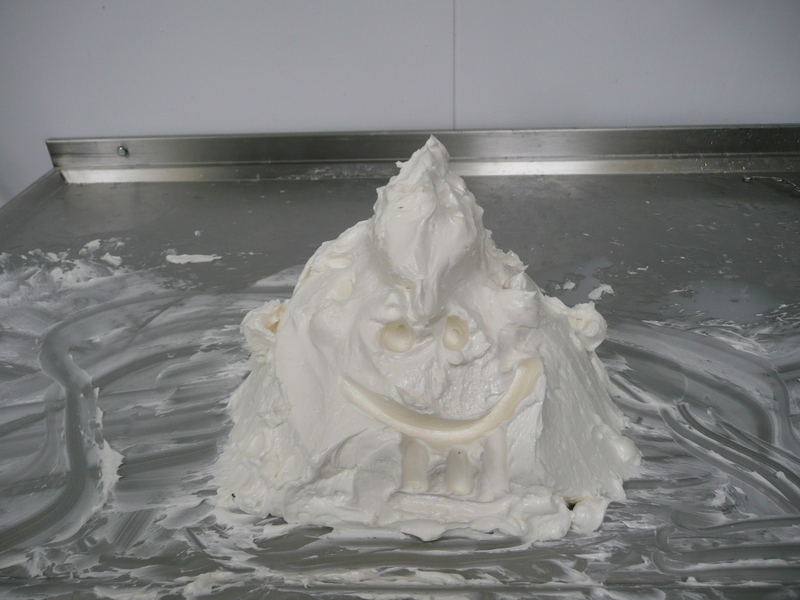 As we were all kneading it, Lydia applied her creativity and made a butter monster. We’ve each taken a piece home with us, (whilst I am biased, it is rather nice!) given some to Jonathan and Jenny to say thank you for the cream and are sounding out our customers if they are interested in buying some – so far, though it is early days, there has been a fair bit of interest. 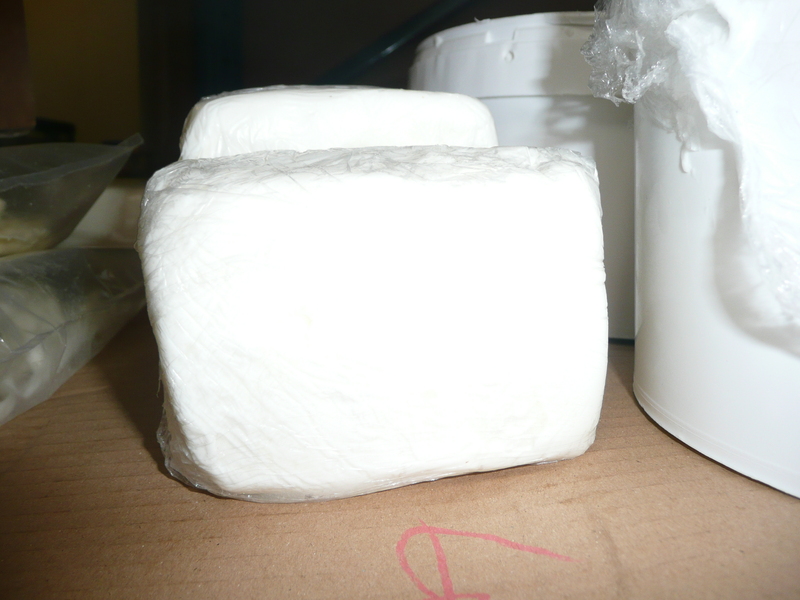 We plan to increase production of goat butter and start making cow’s butter too when we can secure a consistent supply of cow’s cream…watch this space!